Flow cytometry is an indispensable method for valuable applications in numerous fields such as immunology, pathology, pharmacology, molecular biology, and marine biology. 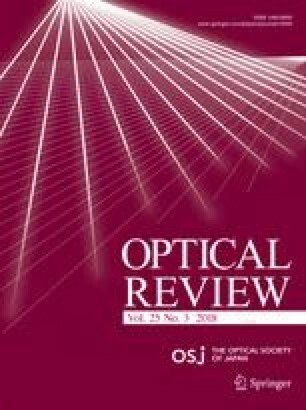 Optofluidic time-stretch microscopy is superior to conventional flow cytometry methods for its capability to acquire high-quality images of single cells at a high-throughput exceeding 10,000 cells per second. This makes it possible to extract copious information from cellular images for accurate cell detection and analysis with the assistance of machine learning. Optofluidic time-stretch microscopy has proven its effectivity in various applications, including microalga-based biofuel production, evaluation of thrombotic disorders, as well as drug screening and discovery. In this review, we discuss the principles and recent advances of optofluidic time-stretch microscopy. This work was primarily funded by the ImPACT Program of the CSTI (Cabinet Office, Government of Japan) and partly by Noguchi Shitagau Research Grant, New Technology Development Foundation, Konica Minolta Imaging Science Encouragement Award, JSPS KAKENHI Grant numbers 25702024 and 25560190, JGC-S Scholarship Foundation, Mitsubishi Foundation, TOBIRA Award, and Takeda Science Foundation. K. G. was partly supported by Burroughs Wellcome Foundation. The fabrication of the microfluidic device was conducted at the Center for Nano Lithography & Analysis, University of Tokyo, supported by the MEXT, Japan.